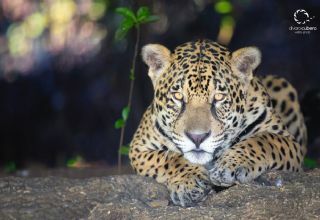 Pantanal jaguar & giant otters observation at Porto Jofre, a place with the highest concentration of jaguars in the world. From June to November jaguars may be seen resting or diving from the river banks in search for their prey. 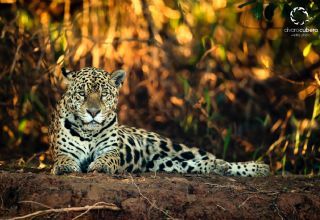 A nice combination tour searching for jaguars along with a wildlife trip at the Northern Pantanal. Aside from jaguars there are great chances to encounter giant river otters among other amazing animals and many bird species. 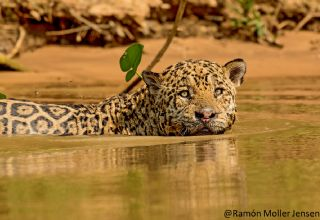 The perfect combination between jaguar operation and wildlife encounters from start to finish on Transpantaneira Road all the way down to Porto Jofre - cruising the river in search of jaguars - and up the road looking for wildlife and much more.